There are over a dozen hotels in Lushan – but arriving in Lushan without accommodation may be difficult if you are not a Chinese speaker. Unfortunately not many of these hotels can be booked online through an English website. Below are the only accommodation options The Lone Traveller has been able to find which can be booked online. We welcome any other suggestions in the comments section. This is the hotel The Lone Traveller used while visiting the Spring Temple Buddha. It is quite far from the main centre of Lushan, and being on a small back street it is difficult to find. However the hotel itself is quite reasonable, clean and quiet, and a Chinese style breakfast is often included. It is a large hotel, and had very few guests at the time. 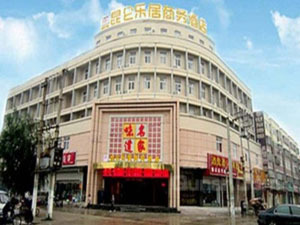 This is a hotel which is much closer to the centre of town and all the convenience of western and Chinese restaurants. 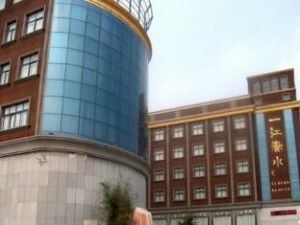 It also seems to be Lushan’s most promoted and marketed hotel on the internet.